VIEW OUR EARRINGS CATEGORY FOR OUR CURRENT SELECTION. 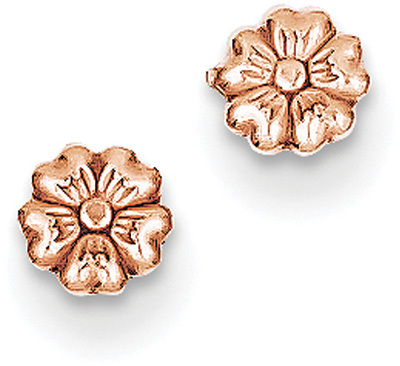 Charming 14k rose gold flower stud earrings. Each flower stud measures 3/16". These are a must have for any flower jewelry enthusiast! We guarantee our 14K Rose Gold Flower Stud Earrings to be high quality, authentic jewelry, as described above.